Meditation and Yoga are common methods of relaxing not only your body and muscles, but also your mind. Another technique, developed by German psychiatrist Johannes Schultz is Autogenic Training. To make your life a little less stressful and more enjoyable, we will present you with the concept of Autogenic Training (if you’re not familiar with it already), and some musical tracks that go along perfectly with the journey you will make during your autogenic experience. 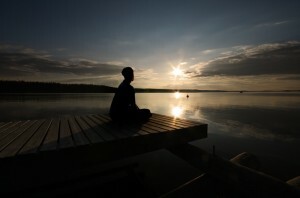 Plain and simple, Autogenic Training is a relaxation technique developed in the first half of the 20th century. This method that’s not too different from meditation influences one’s autonomic nervous system and can be used to easy stress and even the symptoms of psychosomatic disorders. Even in the treatment of traumatic patients, a variant called Autogenic Abreaction was used after 1963. Autogenic Analysis, on the other hand, is used by psychiatrists to uncover the unconsciousness of their patients. Furthermore, Autogenic Training techniques are applied to lower the blood pressure and strengthen the immune system. This technique can be practiced daily in sessions of about 15 minutes. Usually, these sessions take place in the morning, during midday, and in the evening. A set of visualizations that are supposed to induce relaxation of body and mind is repeated during each session. The poses to do this in can vary from any comfortable position to actual medidation sitting styles. Each stage consists of different practices and exercises that aim for different goals in the individual stages. The first stage is directed towards the autonomic nervous system, and connote a calm and relaxing state of the body. The first stage includes the exercises like the experience of bodily heaviness and warmth, or the cooling of the forehead. The second stage is oftentimes used to form certain kinds of behavior; favoring good behavior and getting rid of bad behavior. This is achieved by the formulating of sentences, e.g. in an exam situation. The student in question enters a relaxed state by applying the exercises of the first stage and repeats positively formulates sentences like “I will be calm and composed. I will pass my exam”. The third stage of Autogenic Training is almost exclusively used in therapeutic environments. The exercises in this stage aim to simplify the access to psychoanalytic practice, differing depending on the aim of the psycho analysis. While the last stage primarily is used in real therapy sittings, the first two stages are commonly used as relaxation methods by ‘psychologically healthy’ people as well. Especially during the exercises of the first stage, next to listening or applying the short commands for visualization, calming and atmospheric background noise favors the conduct of Autogenic Training. Music that has been generated for the pure purpose of relaxation is the obvious pick. Calming sounds, chimes, maybe the sound of dripping water create a through and through relaxing atmosphere. Natural sounds like wind in a serene forest, the sound of birds singing, waves hitting the shore, or a calming rain have an equally relaxing function. Furthermore, they can support different visualizations by providing a fitting background souncscape for a walk in the forest or along the beach. For ambient atmospheres that aim to purely create some background noise or to drown out potentially distracting commotion, white noise is a fitting choice. Film Noir Ambient Atmospheres Time For An Emotional Spring Cleaning Music From Singing Bowls for Meditation and Relaxation Does Music Have Healing Powers I Don’t Know About?